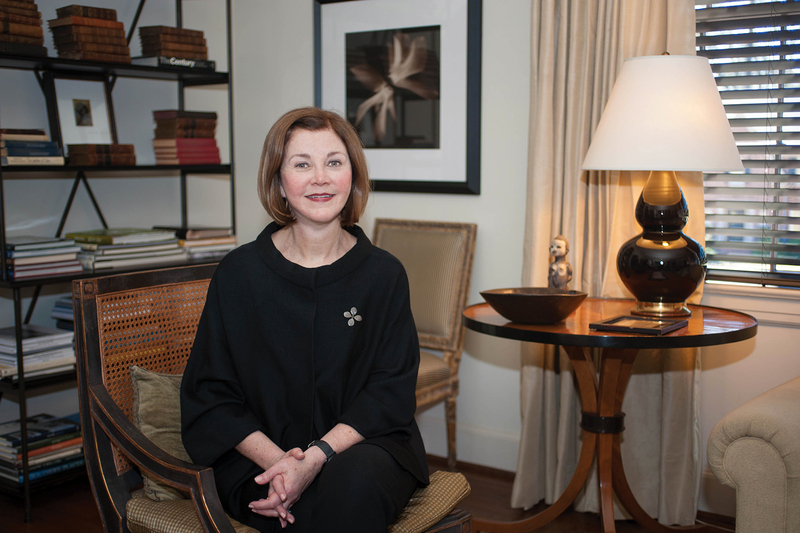 There are few individuals with as many ties to Montevallo as Dr. Jeanetta Corbett Keller ’75. From growing up in the city to later attending, working, donating and serving as a trustee to the University, the journeys of Keller and the University itself are closely intertwined. A Montevallo native, Keller has a plethora of childhood memories involving UM. Her mother, Ellen Corbett, worked at the University for more than 30 years, a portion of which was spent in Carmichael Library, a setting Keller looks back on fondly. “I would sit in the stacks and read in the window seats, and that’s a memory I will never forget,” said Keller. Her affinity to the library led Keller and her husband, Bill, to donate funds to Carmichael Library in her mother’s honor. However, when reminiscing on her time as a student at UM, it’s not the library that defines Keller’s experience, but time spent forming relationships with fellow student leaders like former SGA President Tom Walker ’75 and Ron Carlee ’75, then editor of The Alabamian. Keller was no stranger to campus involvement herself. Working in the business and social work offices, cheerleading and participating in SGA were just a few ways Keller occupied her time as an undergrad. After graduating with a bachelor’s degree in social work, Keller furthered her education at The University of Alabama, earning a master’s degree in social work before returning to UM to work for seven years as director of Alumni Affairs. It was during this time that Keller earned her Ph.D. in higher education administration. In 1985, Keller joined magazine publisher Southern Progress as director of public relations. Never having worked in publishing before, Keller’s time at Southern Progress was a valuable learning experience. “I’ve been fortunate in my career that I’ve been put in a lot of situations that I did not have a background in. I just had to jump in, learn and go,” said Keller. That willingness to learn combined with a vaulting ambition led to Keller’s eventual promotion to executive vice president and editorial director. What meant the most to Keller was the connection each magazine had with its readers. Following her time at Southern Progress, Keller served as chair of the Brookwood Medical Center Board of Directors before accepting a position as UAB Health System’s chief learning and system support officer. After one year, she was promoted to chief administrative officer. The thread Keller believes connects her eclectic life experiences is that of quality relationships and organizations. The Kellers recently contributed funds to name the lobby of UM’s new Center for the Arts, a facility that will provide a more comprehensive teaching and learning environment for the College of Fine Arts.